So, I am coming to the end of my 21 day fast this week. I wanted to share a little of what God has been teaching me. I am learning how not to be a ‘Carnal’ Christian. Carnal means; flesh. 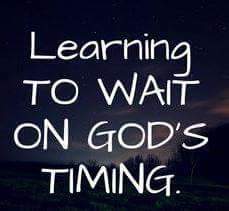 He is teaching me how to wait on Him and not let my emotions control me. I have made many bad decisions in my life that I paid for dearly, that were based on how I felt. It felt good, looked good, etc. We made permanent decisions based on temporary emotions. Let’s be honest, many of us have ended up in some bad marriages/relationships because we were foolish and didn’t wait on God:) We paid a heavy price. God was with us indeed. Romans 8:28 kept us alive, but it wasn’t without consequence. If we truly want God’s best, then we must learn to wait. God is a God of order, so when its meant to come together it will. So, I want to encourage you and myself in learning to be patient. Patient with others, patient with the process and patient with ourselves. Perhaps like me, you need to learn to not act out of emotions, not let your feelings get the best of you and learn to wait on God for His answer. God is good. He is a good Father and we can trust His plan, His timing and His answer. ​Today while in prayer. I found myself asking for forgiveness for things I had already repented of. My heart was heavy. “Stop asking for forgiveness and start receiving forgiveness.” I burst into tears. God is wanting us to stop reliving our past and truly embrace the newness of THIS season. If we truly want to be free, we must simply walk in that freedom already given. The price is paid. We owe no one. 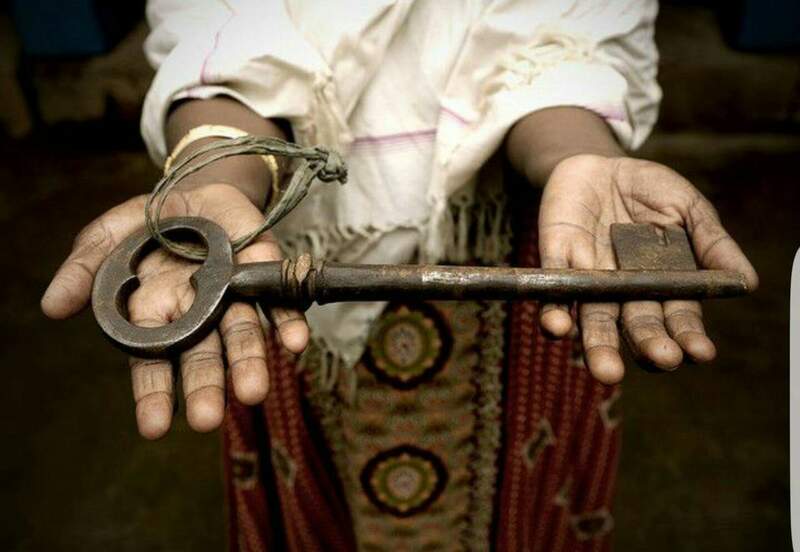 We have been given the keys to unlock our own prison cell. Receive forgiveness and set your soul free.